The CoffeeShop Blog: CoffeeShop "Buttered Toast" Fine Art Photoshop/PSE Action! CoffeeShop "Buttered Toast" Fine Art Photoshop/PSE Action! 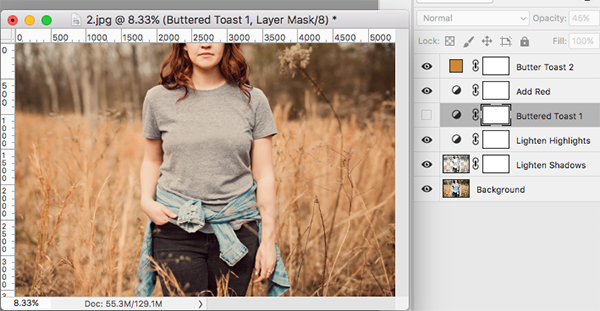 Today I have a brand new fine art Photoshop/PSE action called "Buttered Toast". This action applies a beautiful warm enhancement to your image that is fully adjustable. This effect is lovely on so many outdoor images! 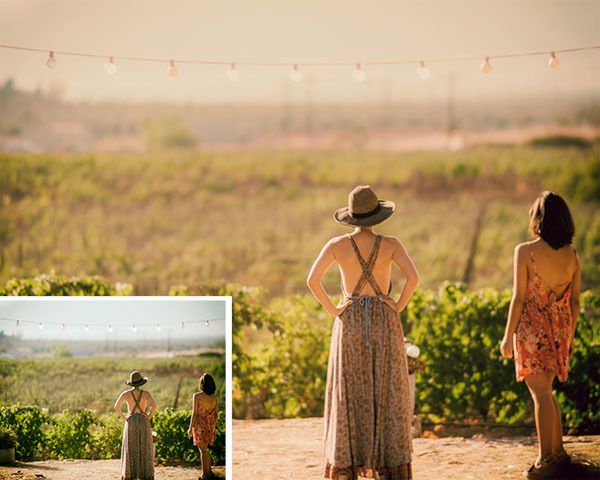 Original images used in this post (redhead in gray, bride and flowers, bride and and lake, redhead in blue, girls staring into distance). Run the action. 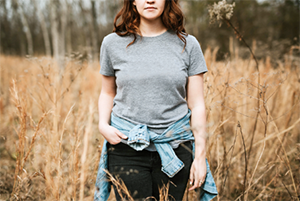 This is the image with no adjustments. I think her skin looks too red, so I will make some adjustments. I turned off the "Buttered Toast 1" layer. I could also have adjusted the opacity and/or painted on the layer mask. Now her skin looks much better. I also decided to turn down the opacity of "Butter Toast 2" to 25%. The beauty of this action is that it can be as dramatic or subtle as you like! 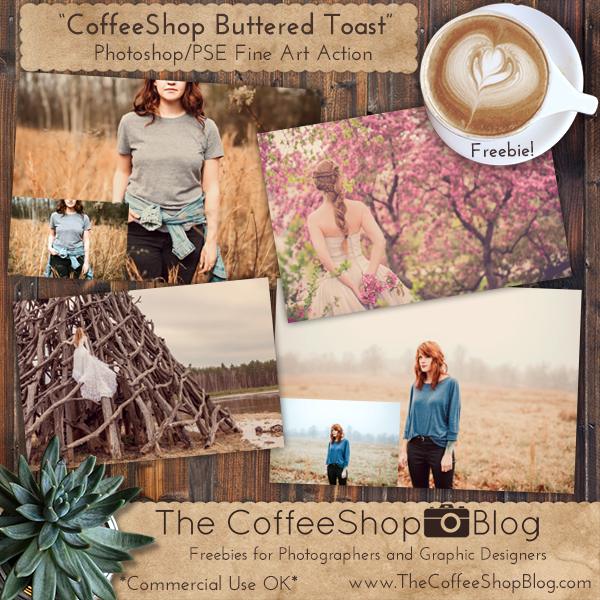 Download the CoffeeShop "Buttered Toast" Photoshop/PSE Action! Oops, forgot the link! Just added it!!! How do I download this action? I forgot to post the link! It is now up there!! !